To say we're excited about this would be an understatement, but now we've seen the great initial character poster artwork and the trailer, we're twice as hyped about Guillermo Del Toro's Hellboy 2: The Golden Army. 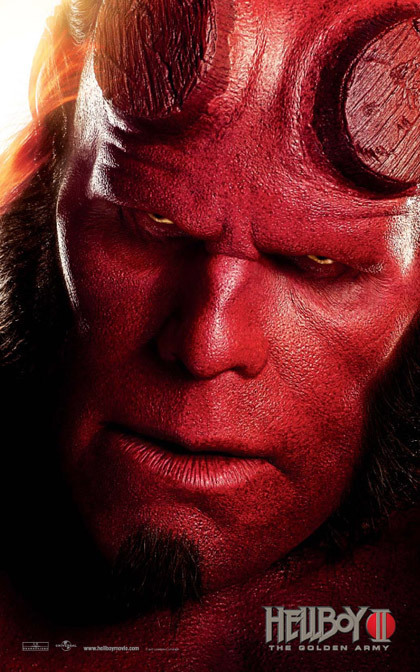 Returning to his favourite pet character after the critical and commercial success of Pan's Labyrinth, Del Toro is clearly having a lot of fun with Hellboy - we're putting our money on it being the most entertaining film of the year. 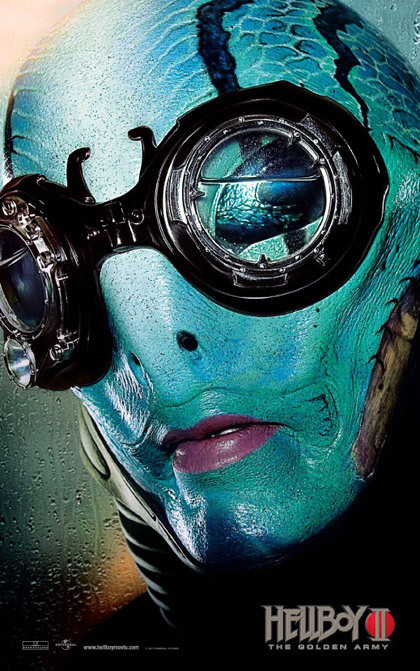 Ron Perlman, Selma Blair, Doug Jones all return for the sequel, which will be released in UK cinemas on August 22nd from Universal. Scroll below the banner images for the trailer links. After an ancient truce existing between humankind and the invisible realm of the fantastic is broken, hell on Earth is ready to erupt. A ruthless leader who treads the world above and the one below defies his bloodline and awakens an unstoppable army of creatures. Now, it’s up to the planet’s toughest, roughest superhero to battle the merciless dictator and his marauders. He may be red. He may be horned. He may be misunderstood. But when you need the job done right, it’s time to call in Hellboy (Ron Perlman). 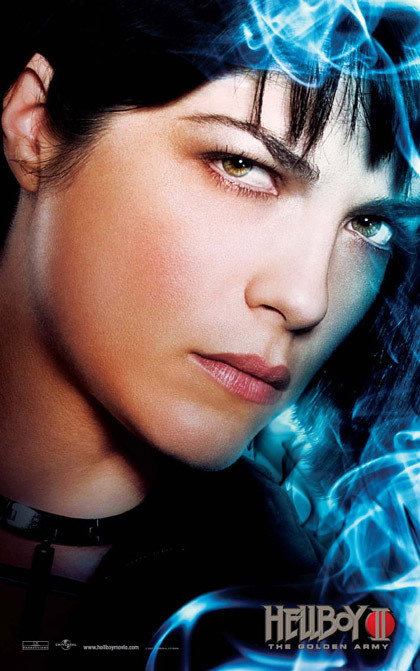 Along with his expanding team in the Bureau for Paranormal Research and Development—pyrokinetic girlfriend Liz (Selma Blair), aquatic empath Abe (Doug Jones) and protoplasmic mystic Johann — the BPRD will travel between the surface strata and the unseen magical one, where creatures of fantasy become corporeal. And Hellboy, a creature of two worlds who’s accepted by neither, must choose between the life he knows and an unknown destiny that beckons him.